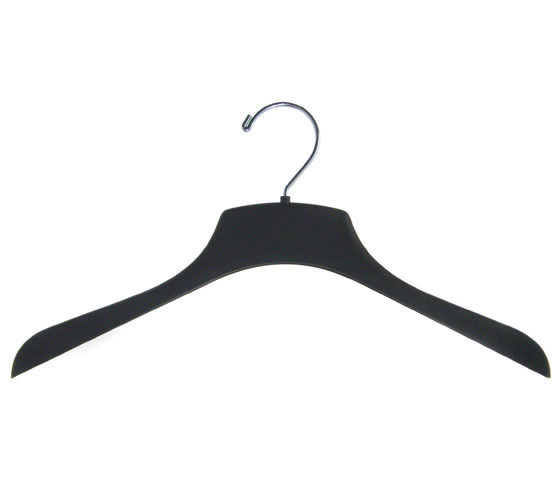 Men's 18" wide black flat coat and outerwear hanger. Perfect for coats and jackets with broad shoulders. 100 per box.